First, let me preface this by saying I am not a real "Christmasy" kinda girl. Perhaps it is that "only child" thing, but I just never got into the big over-the-top decoration contest that has become Christmas. 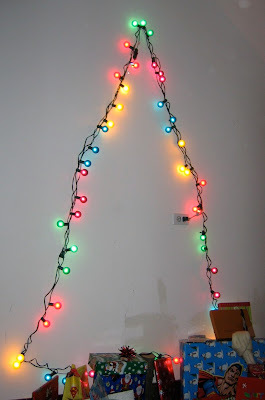 I start getting ready for Christmas mid December and on December 26th I want all evidence of Christmas decorating GONE. For years I had a blow up tree that someone, I-know-but-I-have-no-real-proof-of, deliberately punctured so I couldn't use it again. My next favorite tree, seen above, was a string of lights in a realistic tree shape with a genuine "tree stump" for a stump. I will admit to a soft spot for weird Christmas music. My iPod Christmas folder runs the gamut from Andy Griffith to Yoko Ono, with RuPaul, Charo, and Mae West thrown in for good measure. Secondly, let me say that I am a huge Bob Dylan fan. 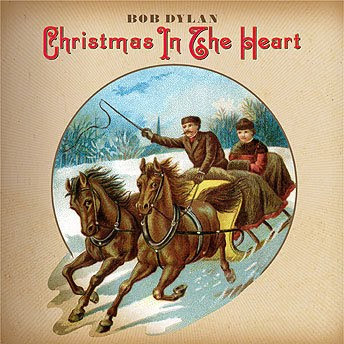 When I heard that Bob Dylan was going to release a Christmas disk, I did what most people did. Today, I received an advanced copy and though it is still the first week in October, before Columbus Day, before Halloween, before Thanksgiving, before the middle of December... I have been listening to Christmas Carols ALL morning!!! As I said, I am a huge Bob Dylan fan, but I am still a realist and I must say when I pushed PLAY, it sounded for all the world like a bad Saturday Night Live skit. After hearing it over and over and over and over, I will tell you that you simply haven't lived until you hear Bob Dylan break into a chorus of ...chestnuts roasting on an open fire. And his rendition of Adeste Fideles in its original Latin is divine. Bob gets me through the season. Had a little help the last couple of years from Annie Lennox and Bruce Coburn, too. What's up at the burn pit?